Chad Michael Murray: Helping “one splatter at a time” – Live! Starring ... You! 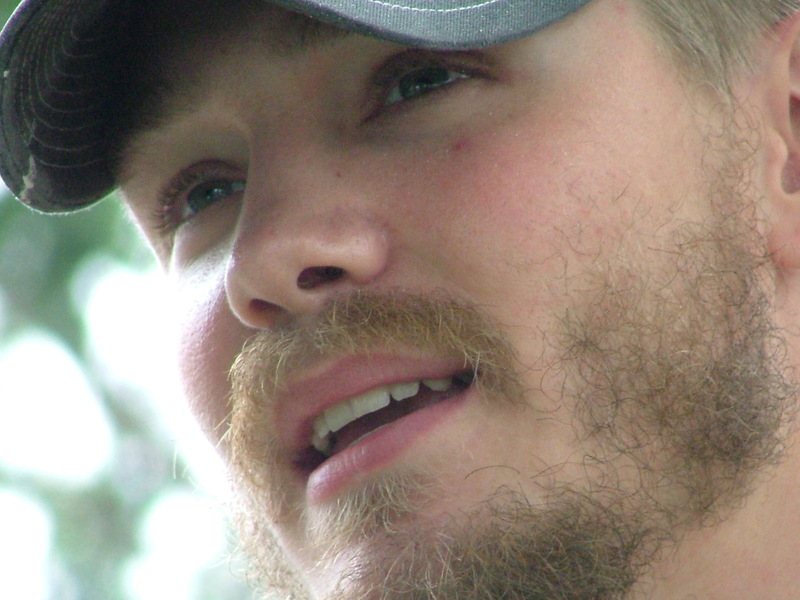 Chad Michael Murray, photographed several years ago outside a Habitat for Humanity home he helped build. But Chad Michael Murray didn’t keep out. The star of “One Tree Hill” and a stack of Hollywood movies was smack in the middle of this neighborhood. He was helping rebuild a house. Chad, on his first vacation in years, was working as a volunteer for Habitat for Humanity. Habitat is an organization that matches volunteers with families who need a new home. The families work alongside volunteers like Chad to build or renovate the house that will eventually become their home. I walked into the house, a tall, two-story home with beige paint that was chipping away to reveal the white underneath. “Hi, I’m looking for Chad,” I said to a woman who was working inside the doorway. Chad, who had been hefting a tank full of white paint and spraying it on the ceilings and walls, told me he was on vacation. In fact, this was his first vacation in three years. He planned to spend it doing volunteer work like this. A couple days later, along with four of his closest friends, he was going to be packing into an RV and taking a two-week road trip. This was definitely a “guy trip” – Chad and his buddies were planning to visit the Pro Football Hall of Fame in Ohio and play lots of golf around the country – but they were also planning to do good deeds in each place they visited. They hoped to make stops at soup kitchens, hospitals, and help build more homes and plant a tree in one of the forest fire-ravaged areas of Yellowstone National Park. In this case, that was OK — Chad knew a lot of good could come from being photographed and interviewed while doing charitable work. Maybe, then, others will do it too.